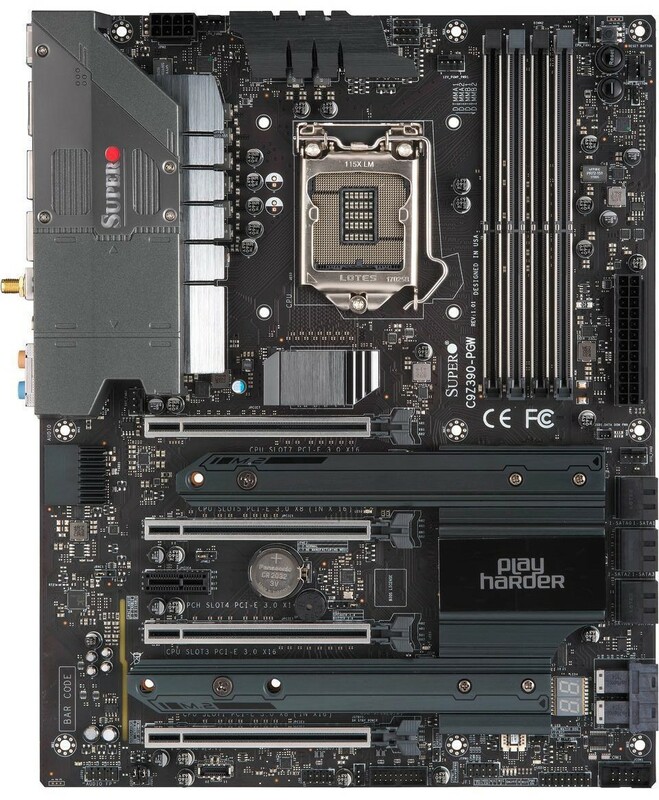 The Supermicro C9Z390-PGW ($371) is a full-sized ATX motherboard and is one of just four consumer desktop models from its SuperO series. The other three models include the C9Z390-CGW ($277), the entry-level C9Z390-CG ($209) and the mini-ITX C9Z390-CG-IW ($204). 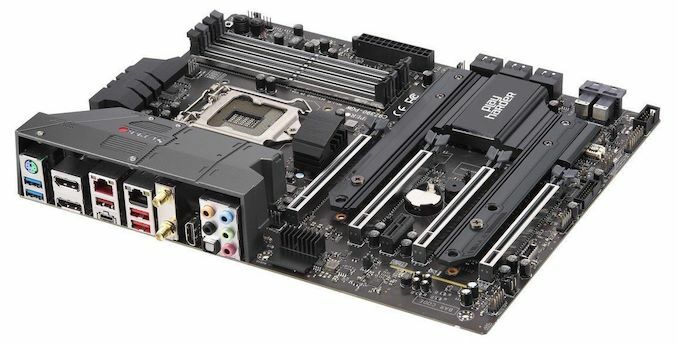 We reviewed the mini-ITX C9Z370-CG-IW last year. Reminiscent of a militaristic vehicle, the C9Z390-PGW has an industrial looking rear panel cover which is made from plastic. Both of the power delivery heatsinks feature a gunmetal grey finish and are constructed of metal. For a visual effect, the C9Z390-PGW has four areas with integrated RGB LEDs including the rear panel cover, the audio PCB separation line, underneath the top right of the PCB by the memory slots, and within the chipset heatsink. Allowing users to add more RGB, Supermicro has included two 12 V RGB headers. 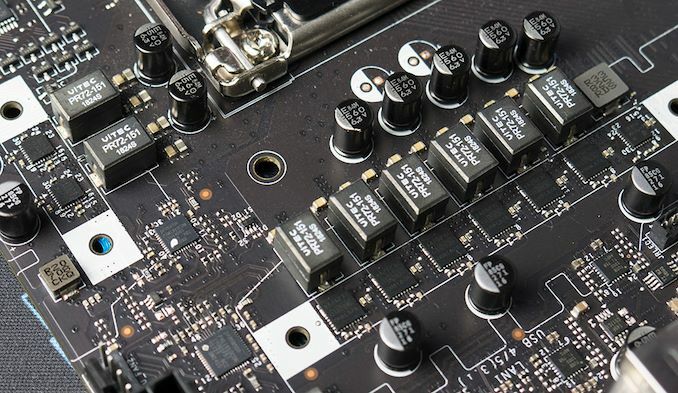 The PCB is all-black in color and in-line with its more professional grade motherboards, Supermicro has used an epoxy glass resin with TU-62/NP175 materials; these materials are designed to improve signal quality through the traces and tracks between the components. There are plenty of USB headers featured across the C9Z390-PGW. There are two USB 2.0 headers, two USB 3.1 G1 headers and one USB 3.1 G2 Type-C header. At the top right of the board is a clear CMOS button, an 'on' button and a reset button. There are also jumpers for the audio, the Intel Manufacturing mode, and to enable the Watch Dog function. Cooling capability consists of five 4-pin fan headers with one dedicated for a CPU fan, one for a 12 V pump and three for chassis fans. The Supermicro C9Z390-PGW has four full-length PCIe slots which all feature metal slot reinforcement; located between these is a single PCIe 3.0 x1 slot. The biggest feature of the C9Z390-PGW is the use of a Broadcom PEX8747 PLX chip which muxes the processors PCIe lanes giving a total of 32 lanes. This makes true four-way NVIDIA SLI set-ups possible, while non-gaming applications such as FPGAs, RAID cards, and additional networking cards could make use of these slots. 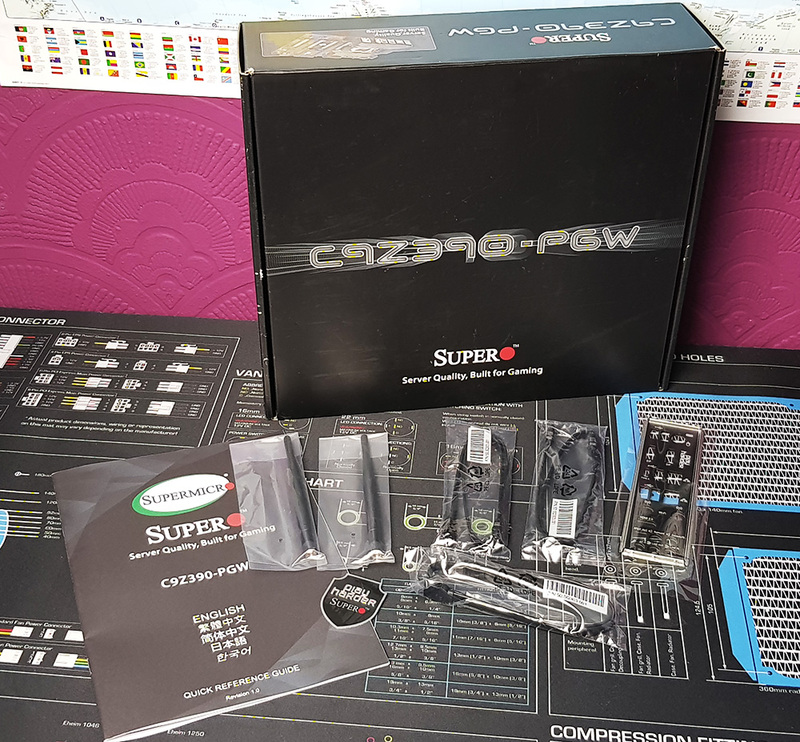 Focusing on the power delivery on the C9Z390-PGW, Supermicro has gone with a simplistic but highly effective 6+2 design. Making up the CPU/VCore section is six Infineon TDA21232 50 A power stages with a complement of six Vitec 66 A inductors. The controller of choice for the VCore is the Primarion PXE1610 6+1 phase PWM controller. Similarly, the SoC uses two Infineon TDA21240 40 A power stages and is controlled by a Primarion PXE1310 3+1 phase PWM controller. The C9Z390-PGW is the epitome of a true 6-phase design for the CPU/VCore and although there is only one 8-pin 12 V CPU power input, this power delivery is more than capable of doing its job. Looking at memory support, the C9Z390-PGW has support for DDR4-4000 memory and the four slots allow for a maximum of 64 GB. Powering the memory is a solitary Infineon TDA21240 40 A power stage with a Vitec 66 A inductor and is controlled by a Primarion PXE1110 PWM controller. The slots themselves have a metal coating and a single installation clasp for installation. Just like most Z390 motherboards, the C9Z390-PGW uses a Realtek ALC1220 HD audio codec. Added to enhance the quality of the front panel audio is a Texas Instruments OPA1612 operational amplifier and the area has a total of seven gold audio capacitors. 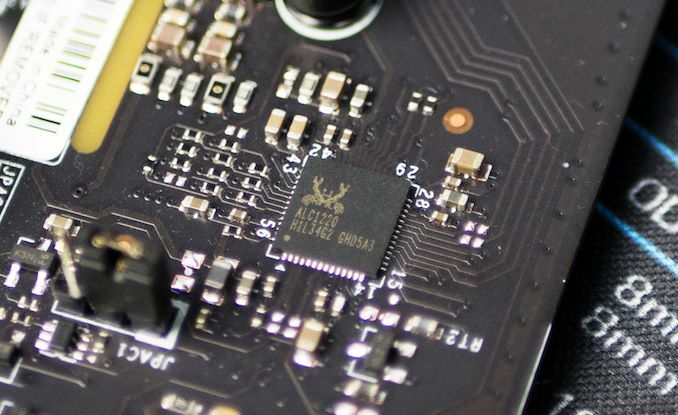 This area also features a physical divide between the audio PCB and the rest of the board. On the rear panel is a variety of ports including USB, video outputs and audio connectors. The bulk of the space is taken by the three USB 3.1 G2 Type-A ports, a single USB 3.1 G2 Type-C port and two USB 3.1 G1 Type-A ports. The C9Z390-PGW uses two network ports with one powered by an Aquantia ACQ107 10G controller and the other coming via an Intel I219V. The board's Wi-Fi is provided by an Intel 9560 802.11ac Wave 2 2T2R CRF module and is actually underplayed in the specifications by Supermicro; the Intel 9560 offers speeds of up to 1.73 Gbps and also allows users to use Bluetooth 5 devices. Users looking to make use the integrated graphics on supported processors can use the two DisplayPort 1.2 or the HDMI 2.0a outputs. The rear panel also has five 3.5 mm audio jacks and aS/PDIF optical output powered by the Realtek ALC1220 audio codec. Finishing off the rear panel is a PS/2 combo port. Included with the retail packaging is a basic set of accessories with four SATA cables, a black and silver IO shield, SATA cable stickers, a driver installation disk, a quick reference guide, a SuperO case badge and a pair of Wi-Fi antenna. The C9Z390-PGW is also available from Supermicro without retail packaging when purchased in bulk.